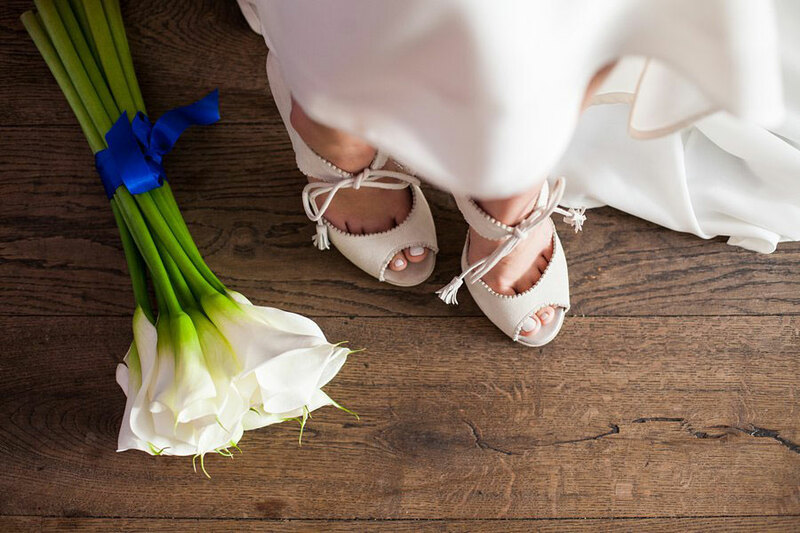 Happy New Year lovely brides-to-be! 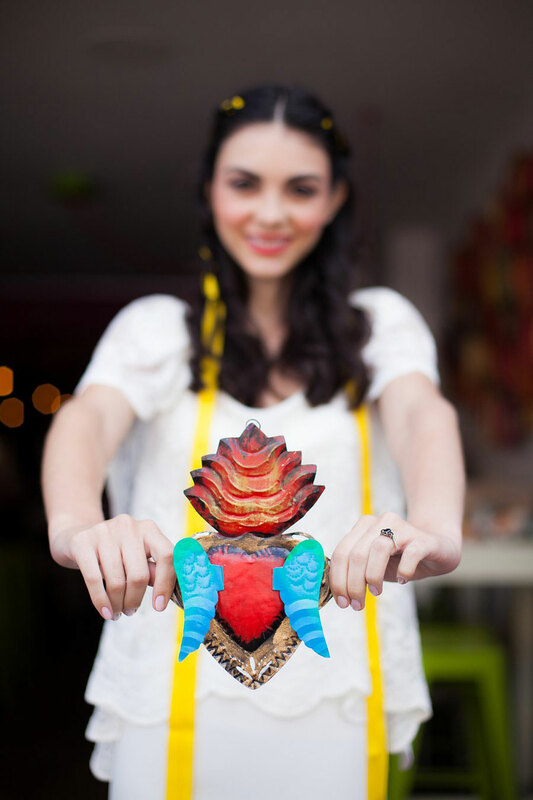 We set this year’s wedding inspiration off with a colourful bang by sharing this vibrant and authentic inspired Mexican wedding shoot. 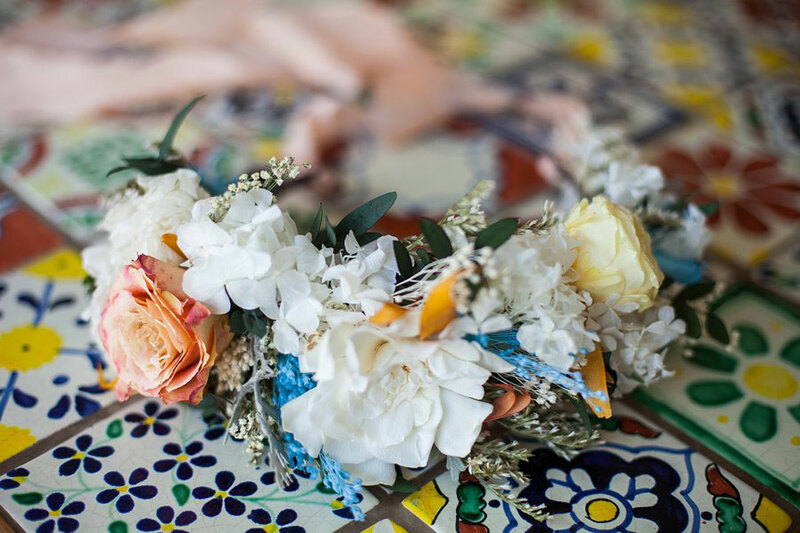 With stunning motifs, braided hair adorned with bright lengths of ribbon and a gorgeous colour combination – you’ll be feeling this Mexican fiesta of wonderfulness and wistfully imagining how you can incorporate it into your big day. 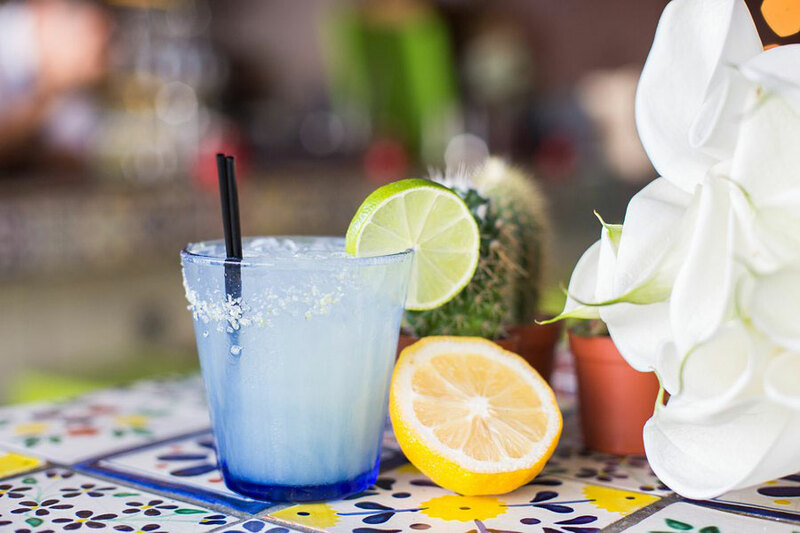 Mexico is such a rich source of inspiration for weddings – from fabulous Frida Kahlo-esque florals and fashion to all-out fiestas – when you think Mexico, you think of a riot of colour and vibrancy. 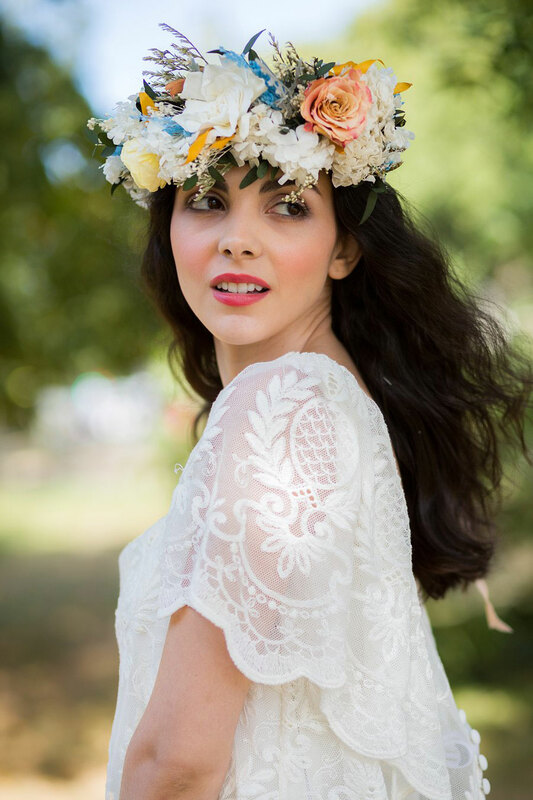 So, when Frances Carlisle came to us wanting to put together a Mexican-inspired bridal shoot, we jumped at the chance. 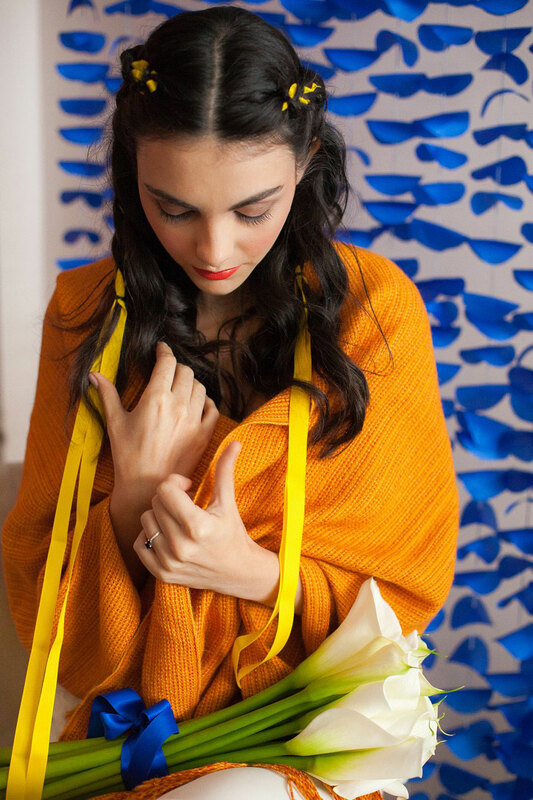 Frances has spent a lot of time in Mexico, and it’s a country and a culture that remains very close to her heart. 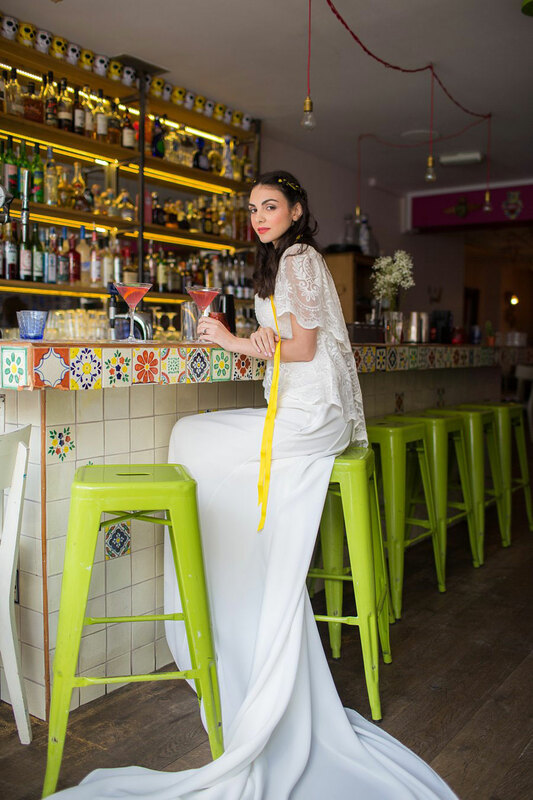 Her vision for the shoot was to evoke the colours of Mexico and some of the authenticity of a traditional Mexican wedding while keeping it modern, free flowing and easily adaptable to a UK / US bride getting married at home. 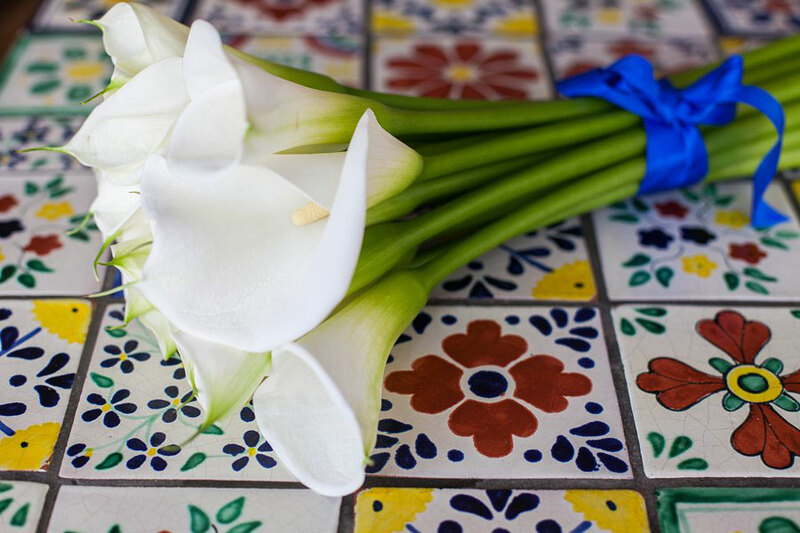 Inspired by the paintings of Diego Rivera, white calla lilies were central to the shoot. 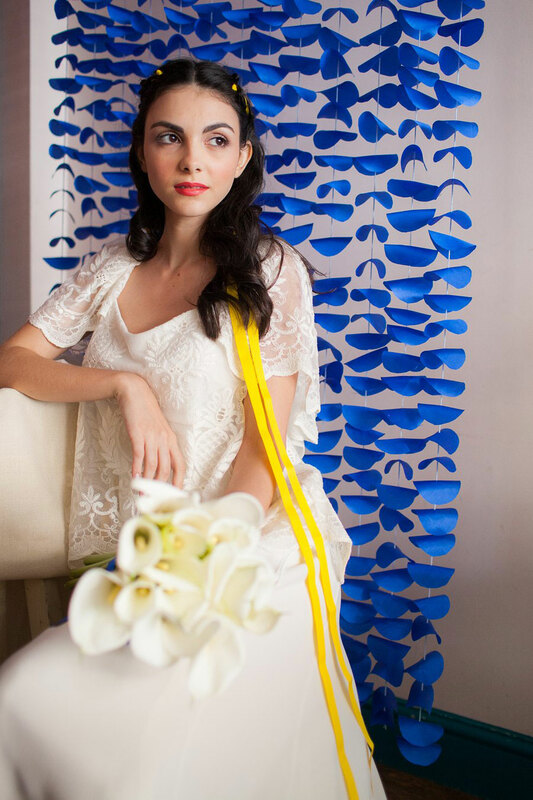 We kept white and yellow as our key colour scheme, accenting this with a punchy-but-simple royal blue backdrop that we created. 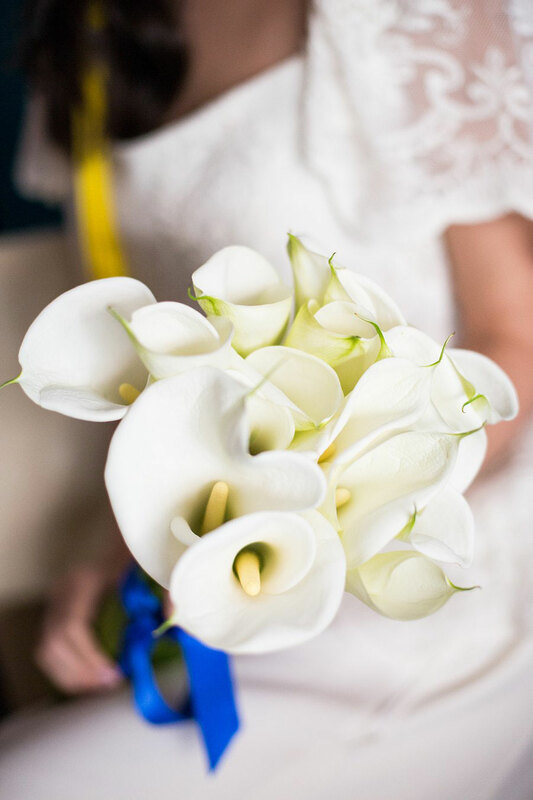 Sarah from Sprigs and Stems provided a loose and simple bouquet of lilies, plus table arrangements in shades of yellow to add some warmth. 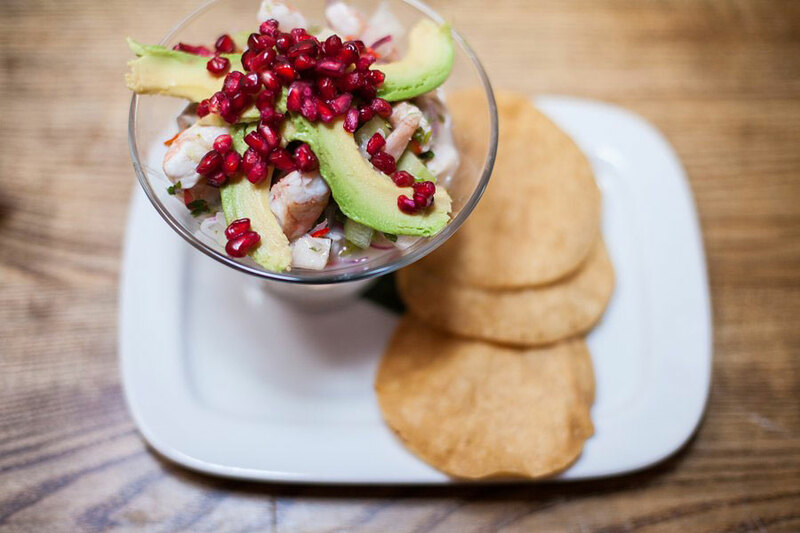 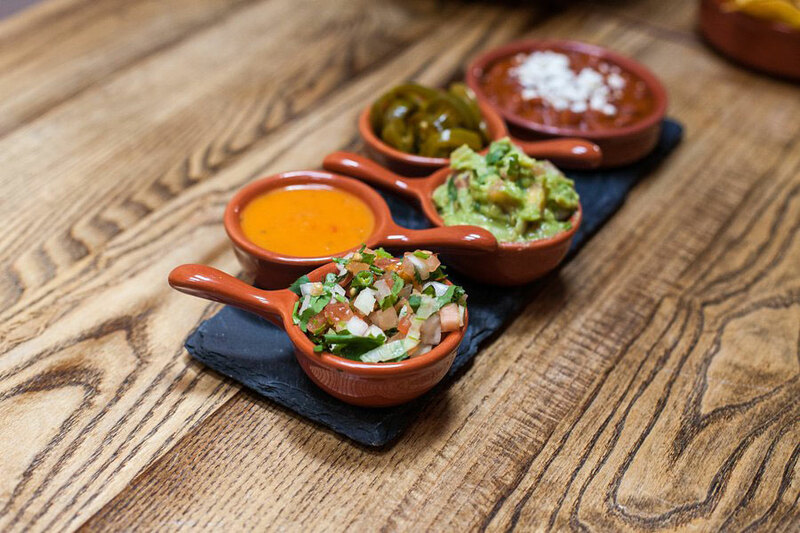 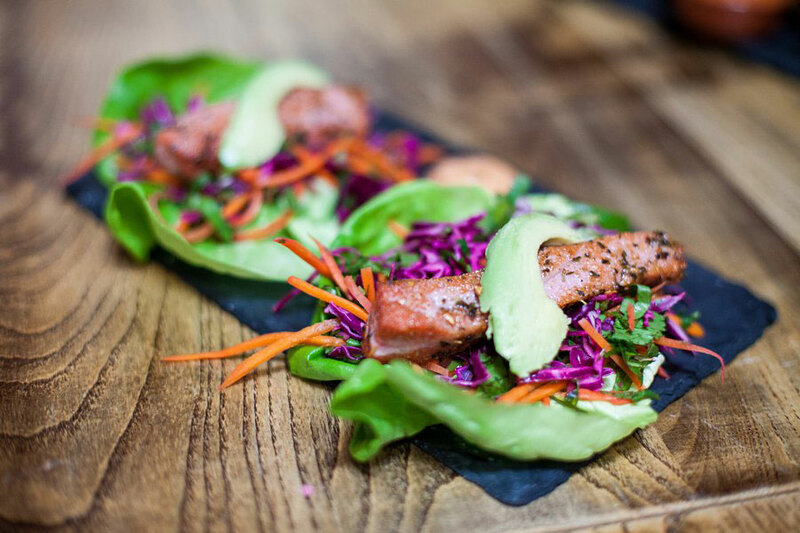 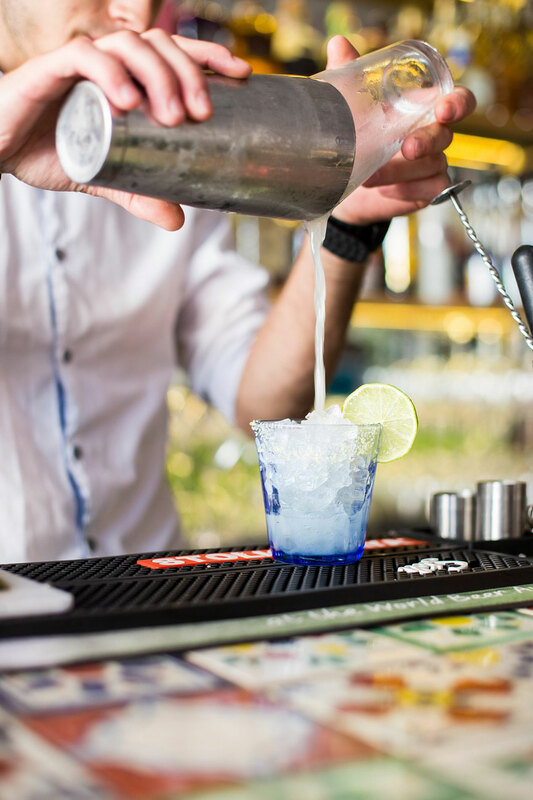 Comensal – a Clapham restaurant serving authentic and seriously tasty Mexican food – was a brilliant venue for the shoot. 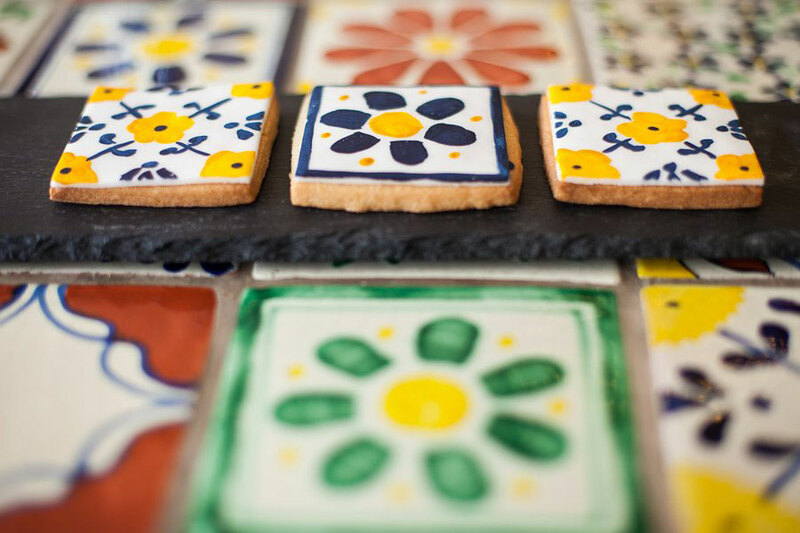 We immediately fell in love with the colourful patterned tiles and woven baskets on the walls. 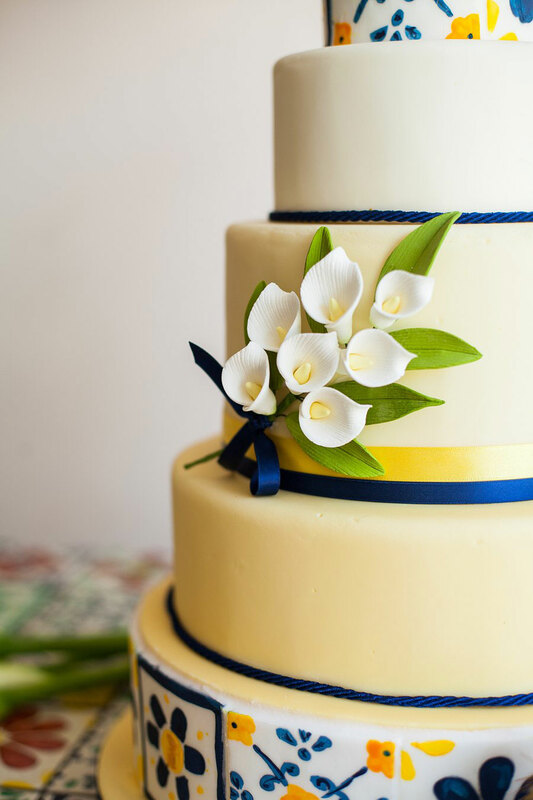 We were thrilled to see the calla lily motif echoed in the stunning cake created by Millie-Ann at Ever After Wedding Cakes, and the tiered fondant beauty was accompanied by a simpler but no less delicious lemon drizzle cake, and bright iced biscuits that picked up on the designs of the venue’s tiled bar. 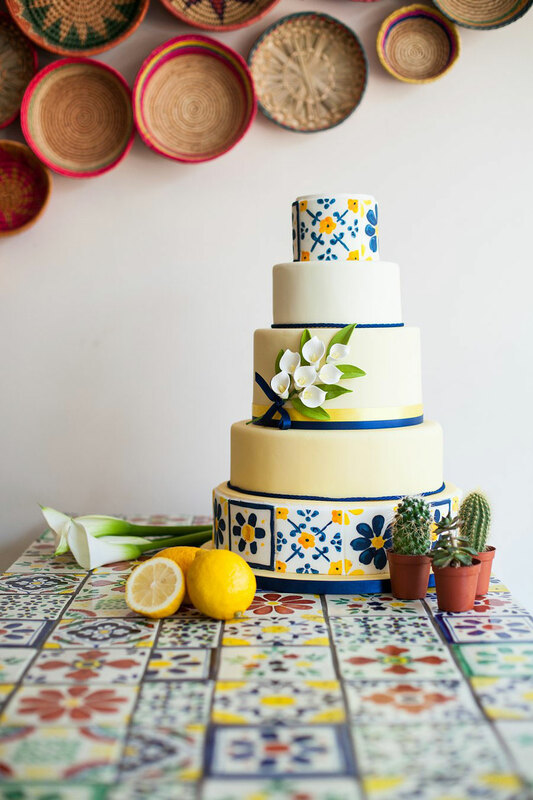 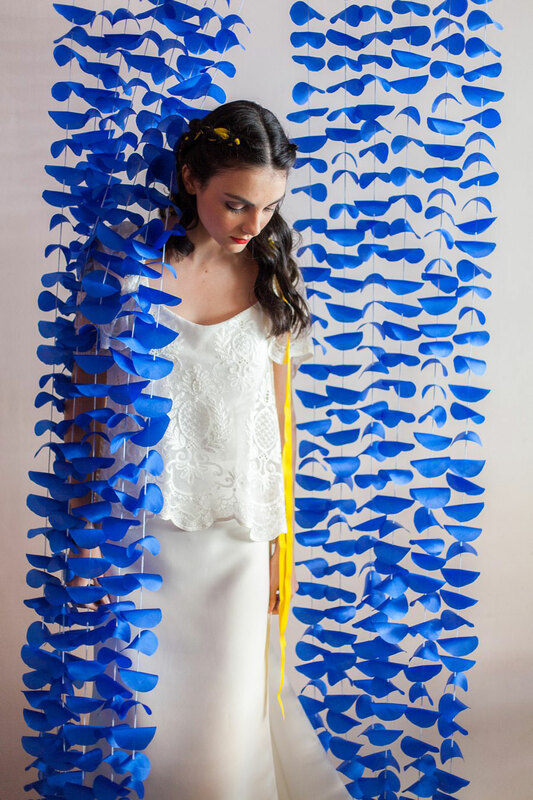 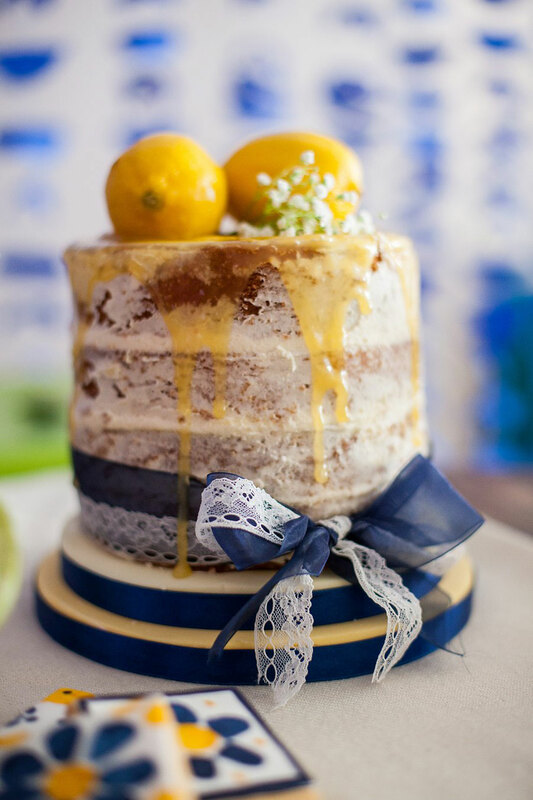 Massive thank you to the talented team below who created this vibrant blue and yellow, Mexican-inspired bridal shoot – this theme is absolutely perfect for fun & colour loving brides! 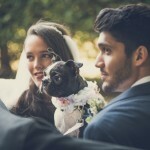 This is an amazing shoot. 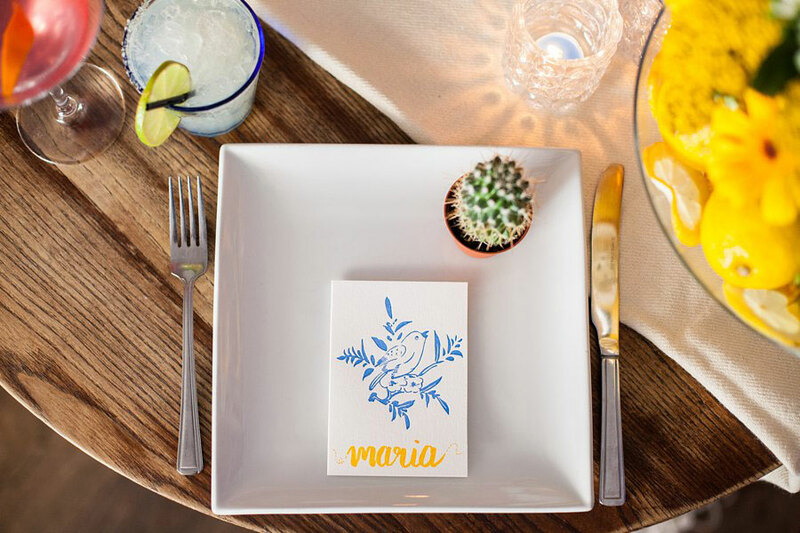 Everything ties in together so, so well, and the styling is perfect!